Massimiliano Latorre, one of the two Italian Marines accused of murdering Indian fishermen off the coast of Kerala in 2012, will not be returning to India to face the judicial process, according to the President of the defence committee of the Italian Senate. The statement was reportedly made on Tuesday, a day before the Italian Marines case was to come up for hearing before the Supreme Court. In a report by Italian agency ANSA, Senator Nicola Latorre of the defence committee was quoted as saying, “Massimiliano Latorre will not go back to India, and work is being done on the possibility of requesting for Salvatorre Girone to be able to return to Italy.” The statement places the scheduled return of the Italian marine under a cloud of skepticism. However, sources in the Ministry of Legal Affairs were quoted as claiming that the statement is that of an Italian politician and not that of the country's government. Congress has come forward to urge Prime Minister Narendra Modi to take action in the case. “The Kerala Chief Minister has asked the Prime Minister to take appropriate action. Two Italian marines who are accused in this case, one was allowed to leave the country on compassionate grounds, he had a stroke and the Italian Government requested the Indian Government to take him to Italy for treatment,” Congress leader P.C. Chacko told ANI. “They had also given an assurance that he will be brought back to India after the treatment. A government cannot go back on a commitment given. The law of the land must prevail, they have committed offence in India and they should be tried here. I hope the Centre will take appropriate action,” he added. “The truth is that Italy has given solemn undertaking to the Government of India and the Supreme Court when they removed the gentleman from the medical treatment. To say that he can't come back to India again even when his health is okay is simply unacceptable, it's also violation of a solemn undertaking by a government to another government and to the government's highest judicial authorities,” he added. Similar demands were echoed by Kerala Chief Minister Oommen Chandy. The BJP Government has also hinted at the possibility of the Indian government taking action on the same. “With regards to anyone who leaves the country or seeks the indulgence of the court and thereby travels out, they are supposed to follow court orders. You can't have anybody showing disrespect to the court. I am sure that if someone is showing disrespect to the court or not following court orders then the government is bound to raise such a thing,” BJP leader Nalin Kohli told ANI. Latorre was granted a period of leave in Italy for medical treatment after he suffered a stroke while in New Delhi in 2014. He was granted permission by the Supreme Court and the permission was extended for 6 months on July 13, 2015. He was supposed to return by Friday. 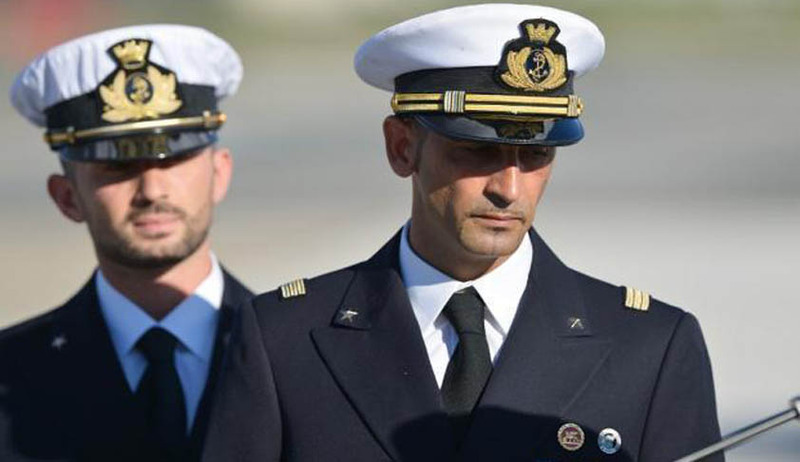 The second sailor, Salvatore Girone, is being held in the Italian embassy in New Delhi. The hearing at the Supreme Court is due today, wherein the Court will reportedly take into account the ITLOS order in August last year, to suspend all court proceedings and to refrain from initiating new ones which might aggravate or extend the dispute or might jeopardize or prejudice the carrying out of any decision which the arbitral tribunal may render in future. You may read the LiveLaw article and order here. Following this, SC had suspended all proceedings against the marines, pending decision of ITLOS on jurisdiction. You may read the LiveLaw story here.